This video was created to share about herbs, nutritional supplements and natural therapies to support the body in maintaining a healthy environment within the uterus by promoting hormonal balance and supporting the body’s natural ability to reduce occurrences of occasional growths. That eye-opening statistic shared by Texas A&M University Health Science Center researcher Tiffany A. Katz, Ph.D. in Fertility and Sterility is why we share of natural therapies along with dietary and lifestyle changes to support a healthy uterine environment. 70-80% is simply too large of a percentage! 1. Supporting liver health because the liver helps to filter excess hormones and toxins that lead to hormone imbalance within the body. Eating a whole food Fertility Diet, drinking clean water with fresh-squeezed lemon juice and supplementing with herbs like Milk Thistle Seed (Silybum marianum) and Dandelion Root & Leaf (Taraxicum officinalis) are great ways to help the liver function at its best. 2. Nourishing your endocrine system as it’s affected not only by the stress in our daily lives, but also the toxins in the environment. 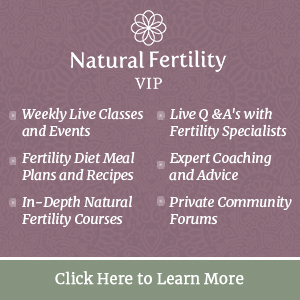 Following the Natural Fertility Diet to nourish and support this system will help it function at its best and keep hormones balanced. It is also important to limit or avoid foods that may contribute to estrogen dominance. 3. Considering supplement support with combinations of powerful herbs known to help the body reduce excess estrogen, such as those in the product Fibro Defense, DIM (diindolylmethane) to support the body’s ability to balance hormones and breakdown excess estrogen. Systemic enzymes may be helpful in reducing the size of uterine fibroids, healing and preventing scar tissue damage from existing uterine fibroids, promoting healthy circulation and detoxification of tissues while reducing pain and inflammation.